Curling Stones for Lego People: What have I missed? The last couple of weeks have been incredibly busy and I can't remember the last time I went a week and a half without being able to write a single blog post; and what a couple of weeks we've had release wise!! Although I've not been able to write about it yet, I've been avidly following the global release of X by Trollbeads last week live on Twitter and the subsequent articles. 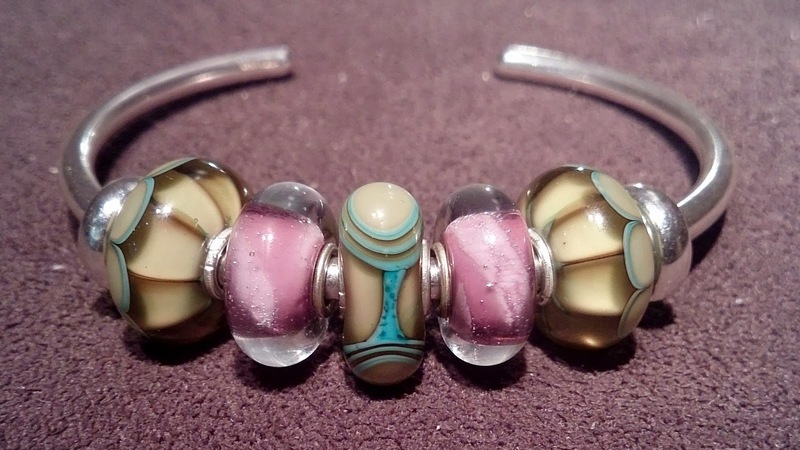 Below are two articles from two of my favourite bloggers about the launch but please do have a search of their blogs for more news and articles as both have covered X by Trollbeads very comprehensively. Did it tempt me to buy more after seeing it, and more importantly touching it, hell yes!! Whilst I was fairly convinced I would experiment with just a rubber bracelet to start with, the question I had remaining was what did it feel like? I'd consider myself a very tactile person; I literally shop for clothes by touch and whilst I obviously have to like the look of something, I browse by touch first. Steffans marketing campaign answered that key question immediately and X passed my touch test with flying colours... and yes, I did order on launch day! In the course of my own X adventure I took a little detour into Story on the way. My love affair with Story has been a long time coming, ever since I first saw a red snakeskin bracelet featured on Endangered Trolls. Much like my prelude to the original Trollbeads I've been looking at Story for months now before taking the plunge; definitely no regrets as I've been wearing it non-stop ever since. I've also had most of the rest of my Trollbeads Fall Collection order delivered, a few stragglers didn't make it from the second order, but they're finally on their way now and this release has seen me buy multiples first time around... that's NEVER happened before! Although the Halloween Release has been pulled from Trollbeads having been rolled up with the Fall release, there was still the People's Bead 2013 Announcement, again may I point you in the direction of Endangered Trolls for a great blog post and subsequent discussion with many of the winners popping on and joining in. Then the Trollbeads Christmas Collection has been previewed, OH MY, just when I think we won't get any more images, even more pop up! First thank you for the mentions. Isn't the Christmas release just divine?! Thanks Victoria and you're very welcome! Christmas kits look lovely, really pleased to see such a strong release on the back of the recent fall release, bad for bank balance but great for the brand! So excited about Blizzard and just wish I had the funds for Shooting Star!! Looking forward to going on hol but suffering from a lack of time to get ready, but probably don't need to do too much more, do need to decide what jewellery I'm taking with me! Look forward to seeing what else I might miss whilst I'm away, now must remember to pay all my bead bills before I go!